It's not uncommon to see articles proclaiming the doom of the aircraft carrier in the face of the threat from China or other powers. Fortunately, the authors of such articles rarely understand warfare that well. Finding the carrier in the first place is not that easy, and then you have to kill it. Last time, I discussed the threat from conventional cruise missiles. 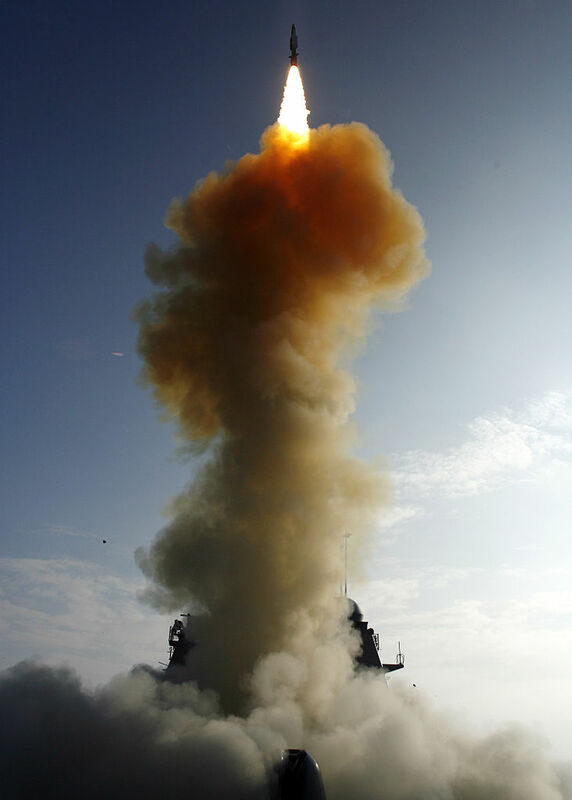 But the weapon most commonly touted as making carriers obsolete is the DF-21D Anti-Ship Ballistic Missile (ASBM). The theory is that due to its speed and ability to evade defenses, there’s no practical way to protect against it. As you might expect, the story is much more complicated and much more favorable to the carrier. 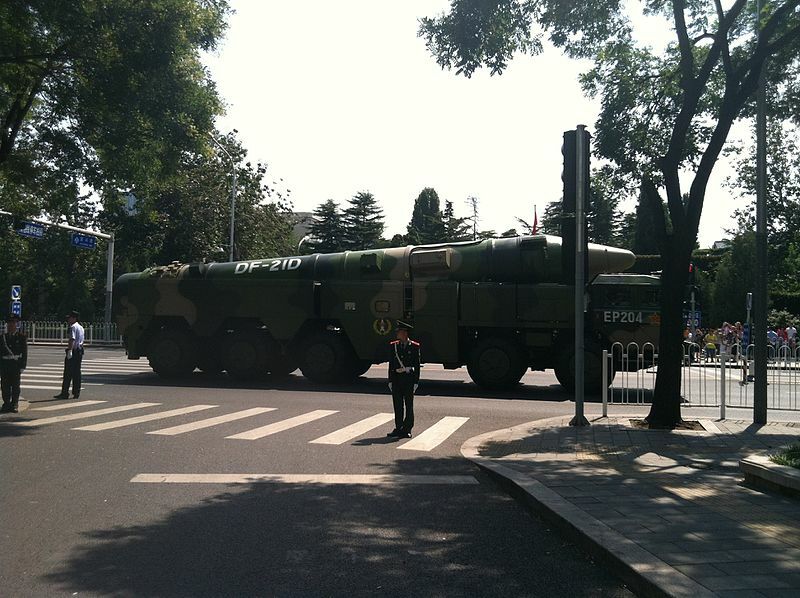 The DF-21D first came to US attention in 2009, prompting concern in the navy and panic outside of it. Defense analysts and talking heads said that there was no defense against it. At the time, that was only partially true, and important context was left out. In certain circles, however, this was uncritically accepted and interpreted to mean that no defense against ASBMs was possible. One so-called defense expert even went to the point of claiming that no defense was possible against any weapon on a ballistic trajectory, including a Harpoon in pop-up mode.1 This is frankly absurd, as the same logic leads us to conclude that it's impossible to play the game of baseball. The grain of truth in the pundit’s statements in 2009 was that the SM-3 capability the US had then was still fairly primitive. Only a few ships were fitted to use the missiles, and as far as I’m aware, none were carried operationally. However, that was entirely normal at that point in the SM-3's lifecycle. 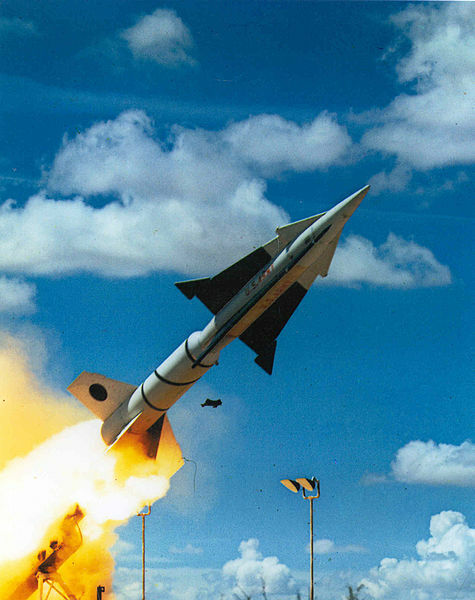 Since then, development has continued, and the SM-3 is the best-tested and most successful of the US ABM efforts. As of May 2017, 35 of 42 intercept attempts have been successful, and SM-3s are now routinely carried at sea. In 2016, the first Aegis Ashore system was declared operational in Romania. The usual response at this point is to dismiss the entire ABM effort as a waste of time and money, because ballistic missiles cannot be shot down. 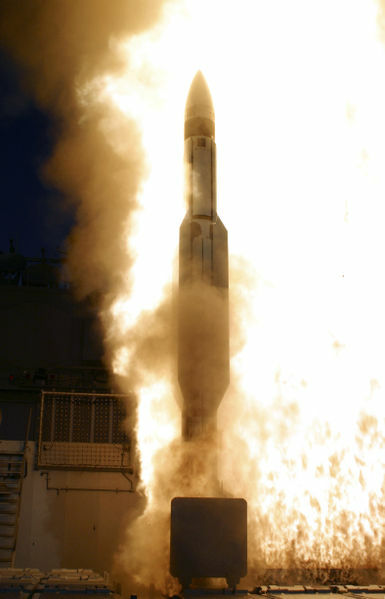 While their speed does make them difficult targets, ballistic missile defense is conceptually simper than air defense, because the target is on a predictable trajectory. 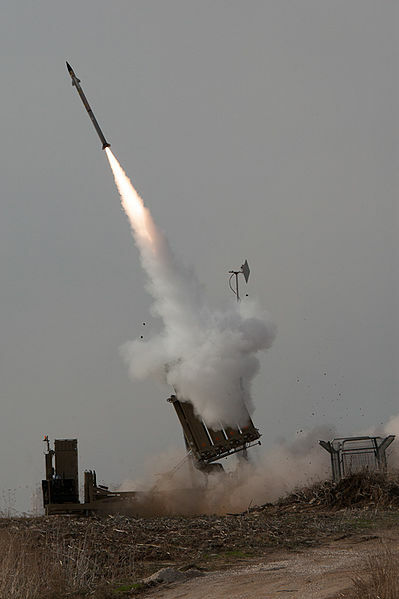 The US was close to deploying an operational ABM system in the form of Nike Zeus in the 1960s, and the Israeli Iron Dome has proven very effective. Granted, its targets are much lower and slower than an ASBM, but scaling it up is ultimately an engineering problem, and one that is being solved. 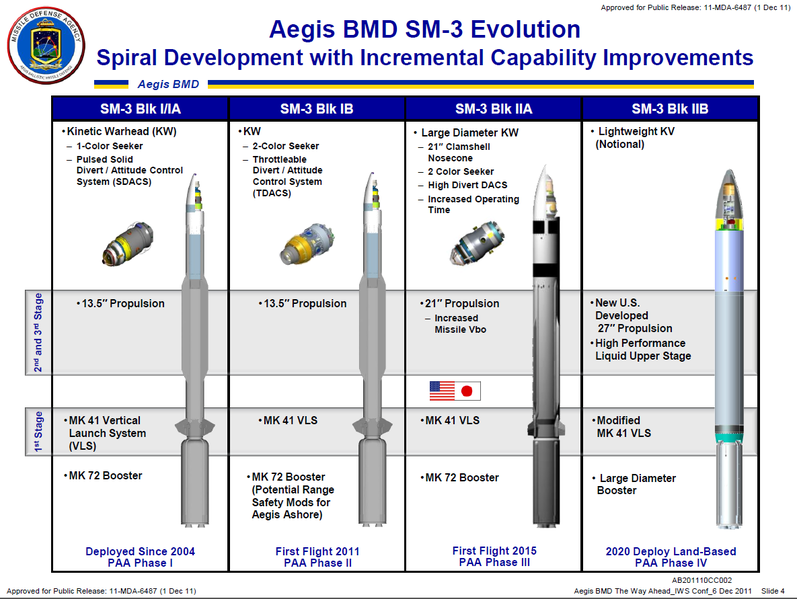 A few proponents of the ASBM threat have made at least some acknowledgement of the existence of the SM-3, and come up with some reasons it won’t work. One is that because the ASBM will be targeted at the ship launching the SM-3, it will not have time to engage before the ASBM is too deep in the atmosphere for the SM-3 to intercept it. This is a strange claim, as crossing targets are universally harder to intercept than closing targets,4 and there have been successful tests using satellite data to cue the Aegis BMD system before the radar can see the target. Even if it was true for the current SM-3 Block IB, it almost certainly would not be for the next version, the Block II. It has a larger motor, making it 50% faster, and giving it marginal capability against ICBMs. Lower in the atmosphere, there are backup systems. The USN has the SM-2 Block IV and SM-6 missiles, both of which have at least some ABM capability. The MaRV now has enough air to maneuver, but the aerodynamic issues aren’t entirely gone. Getting lift at hypersonic speeds is difficult, and even the best shapes have lift-to-drag (L/D) ratios of at best 3 to 1. High-G maneuvers will bleed speed quickly, putting the MaRV squarely in the engagement envelope of conventional SAMs. But even this isn’t the biggest limitation on MaRV defense evasion. Ballistic missile payloads must be kept incredibly light, and fitting a sensor package capable of detecting interceptors is right out. This forces the warhead to fall back on programmed evasion, which is significantly less effective. Lastly, the MaRV’s ability to maneuver is limited by the need to actually hit the target. An interceptor that forces it to dodge so much that it can’t hit anything is as good as one that shoots it down. 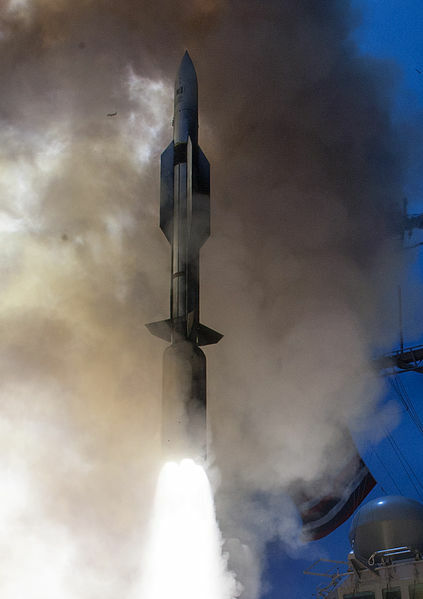 A hypersonic RV trying to hit a moving target has other problems. It has to search for targets, pick the right one, and then maneuver to hit in a very short time. Optical and IR sensors will be blocked by plasma, and the available space for radar sensors is quite small. But all of this assumes that the DF-21D is a real threat in the first place. For a weapon that apparently entered service in 2009/2010, we haven’t heard very much information since then. Most recent media articles can be traced to the original revelations, and only a few have even bothered to look at the dates of their sources. As of today, the DF-21D has yet to perform an over-water test of the seeker. This is critical to making sure that the system would work at all, much less work on a moving target which they have to tell apart from all of the other potential targets the missile can see. The DoD believes IOC was reached in 2010,7 which means that the Chinese have been deliberately holding off on such a test. If they still considered it an important part of their strategy, I believe they would have conducted a more extensive test program. In fact, the PLAN has recently been pushing an alternative translation, People’s Liberation Forces Navy. I don’t speak Mandarin, and thus can’t comment on the technical accuracy of the revised translation, but it does show a distinct shift on the part of the Navy from the traditional role of protecting the Army’s flank to a power-projection mission like that of the US Navy. Of course, missiles, cruise or ballistic, are not the only threat to the carriers. Submarines are also a serious problem, one I'll discuss next time. So the carriers are good against Enemyistan. They're good against China. But there's one more challenge. Would they be good against America? That is, how would the carrier fare in a hypothetical approximately symmetrical great-power war with current technology? (Probably with the assumption that the sides get time to design and build ships for symmetrical war, rather than the current USN facing a copy of itself) Would it still be the primary weapon at sea, or would its planes be reduced to spotting for the missile ship groups that could actually launch the kind of salvo you need? Or something else? That's a good question, and one I'm not quite sure about. Really symmetrical situations at sea are somewhere between unusual and unknown. (The only case I'm coming up with is Japan vs the US in the Pacific, and tech has changed a lot since then.) If surface warfare is our main concern, it is possible we'd see something of a return to the doctrines of the 30s, where the carrier is support for the surface fleet. But the big advantage of a carrier is that it's really good at power projection ashore, and any great power is going to have to balance that against the hot-war role. What gets built probably depends heavily on how those two get balanced. I intend to write an analysis of Putin's announcement, although it might be a few days. I'm strongly of the opinion that the "revolution" is nothing of the sort, and that he's bluffing in hopes of stampeding us into doing something stupid. Let's just say that the authors of most of the articles spewing doom do not have a good grounding in nuclear weapons history and theory. (Anyone who fails to mention Skybolt and FOBS is not worth listening to.) Re the air-launch Iskandar specifically, I stand behind this post 100%. It's not a game-changer. 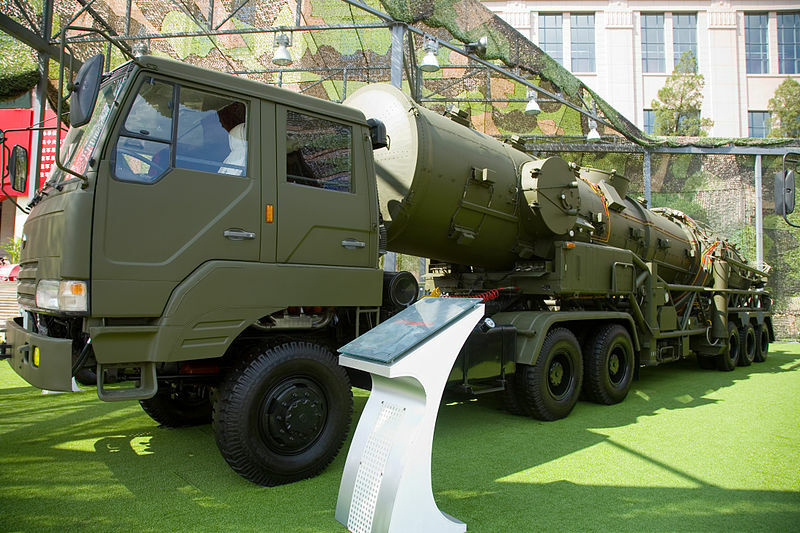 It's a air-launched ballistic missile, with all the drawbacks of other ASBMs. Calling it "maneuverable" does not change the laws of physics.